Now available from QED, a brand new 681F ‘L’ Block! Available in BS1452 Grade 250 cast Iron or LM25-TF Aluminium at no extra cost. Standard version can be bored to 87.2mm, dry sump version to 90mm. 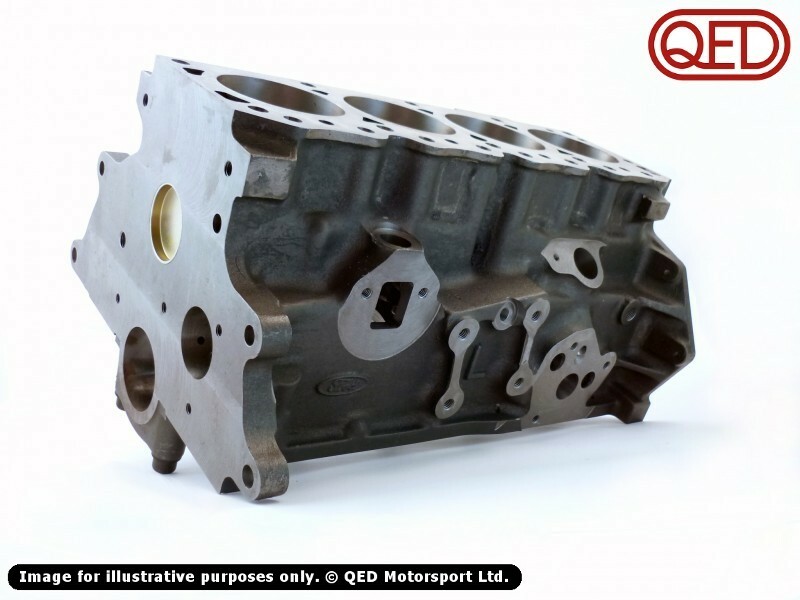 Not to be confused with the current American Ford 711M Kent "tall" block or the Ford 701M 'L' block, this new block is designed and manufactured solely in the UK to create the ultimate race block for a Lotus Twin Cam, without losing originality. The standard version of the block supports the standard type lubrication setup. The FVC version requires oil to be routed around the outside of the block and back in through one of the engine mount holes, as the center main drilling is a weak point at large bore sizes and is therefore not present. Both can be run in wet or dry sump configuration.